In the past week, the 45th president has Twit-tacked Amazon three times and, potentially, cost their shareholders over $40 billion in market cap or just more than one Greek economy. “Why is the United States Post Office, which is losing many billions of dollars a year, while charging Amazon and others so little to deliver their packages, making Amazon richer and the Post Office dumber and poorer?” This infantile question was posed by President Trump on Twitter in December 2017. While it’s not clear what exactly prompted Trump’s criticism, the tweet did spark a wave of debate as to whether the Postal Service is indeed failing and, if so, whether Amazon is to blame. First of all, it’s true that the Postal Service is “losing billions of dollars a year” – $2.7 billion in 2017, to be more precise. In fact, the Postal Service has been losing money for over a decade. And the USPS does have a curious relationship with Amazon. While competitors UPS and FedEx charge the e-commerce giant $7-$8 per package, USPS only charges for $2 for the service. However, as with most stories, that of USPS is more complicated. The USPS-Amazon relationship may be seen as “dumb” by the 45th president, but to many it’s a piece of shrewd business on the part of the Postal Service. As of 2017, Amazon was USPS’s biggest customer, and an intelligent way for the independent agency – that traditionally made its money by having a monopoly on first class mail – to get a piece of the increasingly profitable package delivery pie. It’s not the first time that the Postal Service has tried to muscle its way in on the growing package delivery industry. Back in 2010, the entertainment company Netflix accounted for $600 million from its DVD subscription service. Of course, the Netflix DVD delivery service is fast fading and being replaced by on-demand streaming; and Amazon look to be preparing their own delivery service. It seems that the USPS may have to prepare itself to be jolted by another wave of disruption. The Postal Service’s first major battle against the age of innovation came with the rise of email, and it didn’t take the beating that you might expect. Despite the fact that in 2002 the majority of Americans used email, the Postal Service still managed to make profit between 2003 and 2006. During this time, people were still writing letters, sending greetings cards and, perhaps most importantly, bills were still sent by post. It wasn’t until the 2007 global financial crisis that the Postal Service took a hit that, arguably, it still hasn’t recovered from. After thousands of businesses suffered from the crisis, they started to cut back on expenses wherever possible, and one such place was mail. 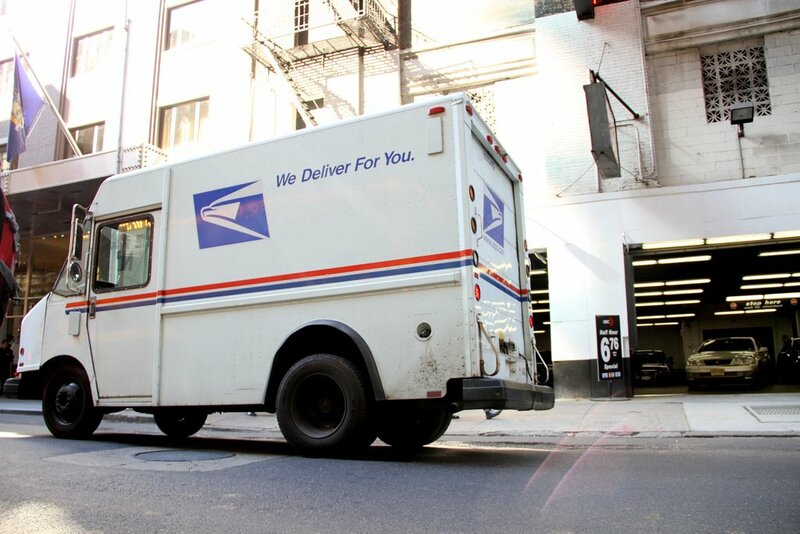 Back in 2000, nearly two-thirds of bills were delivered by USPS, and the total revenue from bill payments in this year was estimated at between $15 and $18 billion. Between 2006 and 2010, USPS volume fell by 42 billions pieces, with 15 billion of those being caused by electronic billing. And if that weren’t enough, the rise of social media further confounded USPS’s problems. Between 2010 and 2014, postcard volume fell by 430 million. As more and more people began logging into Facebook, Instagram and Snapchat to send virtual Christmas cards and birthday wishes, fewer people were sending mail, and therefore fewer profits for the agency that had had its fair share of knocks in the 21st century. To suggest that those in charge at the Postal Service have been idly watching as new technologies disrupt and threaten the agency would be unfair. It is an organization that looks to engage with the latest technology. For instance, in 2014, it released a white paper on the impact that 3D printing could have on the industry and how the Postal Service could benefit; and again in 2015 it released another on the Internet of Things. Both papers were clearly commissioned with a degree of prescience, being published before either technology had begun to pervade the public consciousness. Unfortunately, though, forward-thinking initiatives such as these have been blocked before they can enter the action stage. USPS’s status as a quasi government entity may have its benefits, such as a monopoly on all first class post, but in return Congress has a say in how the agency is run. It can outline the products and services provided by the Postal Service, and set its prices. However, unlike other Federal agencies, USPS receives no funding, and hasn’t done since 1982. In 2016, the Postal Service wanted to make the most of its relationship with Netflix and other video rental business, but the proposal was blocked by the Postal Regulatory Commission. In 2013, USPS attempted to end Saturday letter delivery – a change that would have saved $2 billion a year. The proposal was blocked by Congress. And in 2016, it was ordered to lower the cost of postage stamps from 49 cents to 47 cents, resulting in a $2 billion annual cost. At the heart of the troubled USPS-Congress relationship lies the problem. A big existential question mark hangs over the Postal Service’s head: what exactly is it? With 2.7 million people working for it, it’s the biggest employer in the US (Walmart, by comparison had 2.2 million as of 2017). It also delivers to remote locations that private companies like FedEx and UPS won’t touch. For these reasons, it exists out of necessity. There are also those who want to see the Postal Service fully privatized or even abolished, believing it to be an outdated relic of nostalgia. Understandably, those within the Postal Service are equally unsure as to what they should be. On one side, they’re being encouraged to innovate and drive up profits, and on the other they’re being blocked making the changes necessary. As it stands, the USPS motto “neither snow nor rain nor heat nor gloom of night stays these couriers from the swift completion of their appointed rounds” still holds true. Their resilience through massive shifts in consumer behavior is nothing short of remarkable. They are at the service of the American people, and so it’s up to them to decide what they want it to be. Although it may be true to say the Post Office is losing money thanks to Congress and cutting Amazon a more-than-fair deal, its importance is far more nuanced and complex than he gives it credit. And without the Postal Service, it would be more than just Amazon that would be losing out. As the world moves to more and more virtual communication channels it will be fascinating to see USPS evolve.